Escape Plan is a team game for small/medium sized groups. Your objective is to escape a locked room or achieve a mission within the specified time limit (usually 60 minutes). You do this as a team, by discovering clues, solving puzzles and working collaboratively. We are currently running three experiences – ‘The Adventure Begins’ set in a WW2 POW camp; ‘The Battle for Britain’ set in an RAF Operations Room and ‘Roll out the Barrel’ set in a 1940’s bar. If for any reason you need to leave you are free to do so at anytime. To check game availability, please visit our bookings page. The puzzles may be mechanical, involve skill or deduction, but you are not required to use physical strength. Battle for Britain hosts 2-7 players. (We think 4-5 is the optimum). The Adventure Begins hosts 2-6 players. (We think 4-5 is the optimum). Roll out the Barrel is set to host 2-5 players – this may increase to 6 players, post-testing. The experience has been designed for teens and upwards but we accept bookings (where an adult is present) for anyone aged 9 and over. The games work exceptionally well as a family experience. If you are planning to visit with under 18’s, please make sure your team has at least 1 responsible adult onsite (over 18). We would recommend ‘The Adventure Begins’ first if bringing under 14’s. A full price experience typically costs £120 peak and £89 off peak per team. Peak hours are weekends. Seasonal variations at Christmas and Easter occur – please refer to our booking calendar in respect to your date and time of interest. The number of players in the team has no impact on the price but we recommend 4-5 players for the best experience. We accept anything from 2-7 players and are dedicated to giving your group the best possible experience, irrespective of team size. Check out our website, Facebook and Twitter pages to see if there any discounts running at present.  ‘Escape Plan’ is an exciting Live Escape game in London with excellent TripAdvisor ratings and a certificate of excellence. We will immerse you in a World War II set for a tense and exciting hour. Our game has a wide appeal – suitable for friends, family, colleagues, team bonding and tourists. We are dedicated to giving you an uncommon and upbeat experience. We want your booking experience to be simple and free from any frustration. If you’d prefer to speak to someone, please call us on 020 7018 7390 or email us at [email protected]. Please note that you are booking a live event – as such, we are unable to offer refunds. Booking alterations may be done at the discretion of Escape Plan staff. Please see our full terms and conditions. If you are hoping to get a last minute booking, please call us on 020 7018 7390 to find out what’s available and we’ll do our best to accommodate you. Yes! We have hosted pregnant team players before who have enjoyed their escape. There are seats in the escape room and players can leave the room at any time if needed. If you are nearing full-term, it would be helpful to have some more mobile members in your team, but there are no physical challenges. Please also note ‘The Battle for Britain’ is situated on the first floor without lift access, so players will need to climb a flight of stairs. Is it suitable if I'm claustrophobic? The door is not locked. Our ceiling is 2.4m high. The most confined space you will occupy is approx 3m length x 4m length. The whole experience will last approximately 80-90 minutes (including a briefing and debrief), depending on how fast you can escape! (Roll out the Barrel has a longer timing). There will be a short briefing followed by a 60 minute game and after the experience, there will be a team photo and a debrief. We welcome players with hearing difficulties but one member of the team will be required to have fully functional hearing as there is an audio puzzle. Our puzzles often depend on use of vision and moderate mobility. If you have the smaller wheelchair variety, you will be able to access ‘ The Adventure Begins’ or ‘Roll out the Barrel’ – it is located in a basement and there is lift access. Unfortunately, we are unable to accommodate wheelchair users at this time for ‘The Battle for Britain’. We are situated on the first floor without lift access. Players will need to climb one flight of stairs to play. If you have any special requirements, please let us know in the booking form, or send enquiries to [email protected]. We have two venues – please see our web site front page or the plan your visit page for further details. If you are travelling by car, there is limited public parking on the neighbouring streets charged at £2.80 per hour (Mon-Fri). After 6.30pm and Weekends, parking is free. We are a short walk from Kennington tube and Elephant & Castle stations. Access to Iliffe Yard is restricted at certain times so please text or call us (020 7018 7390) on your arrival and we will meet you at the gates. If the gates are open please head directly to 13a and make your way upstairs where we will be waiting for you. We are also in walking distance of Liverpool Street and Old Street. Parking is available on the Bethnal Green Rd at approx £4 per hour. The meeting point to this venue is by the Rich Mix box office. You will find full details on our Find Us page. Please arrive no earlier than 10 minutes before your scheduled experience. Instructions on where to meet us will be sent with your booking confirmation. If you find yourself running late, please call 020 7018 7390 (Kennington) or 020 7613 5380 (Shoreditch). Late arrival might reduce the amount of playing time available if the ensuing session has been booked by other teams. There is no dress code – you can arrive straight from the office or en route to the pub; come as you please. We welcome reenactors or those who want to dress up of the era. Hopefully we’ve covered it here, but happy to help by phone or email if you’ve thought of something else! [email protected] / 020 7018 7390.